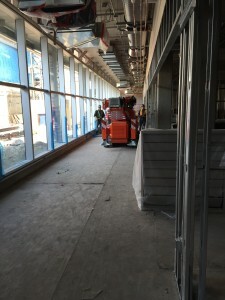 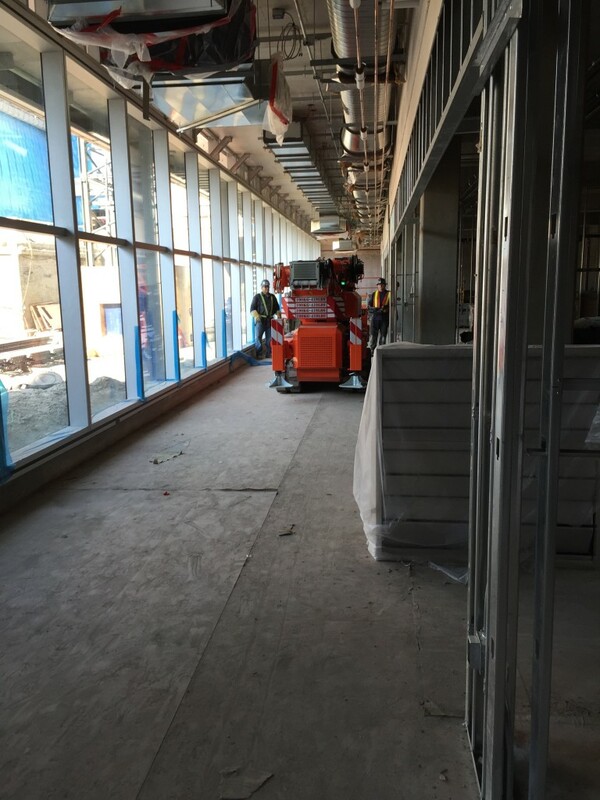 We recently did a job with EllisDon Construction assisting iron workers in the installation of support columns in the new atrium at the University of Calgary Schulich School of Engineering. 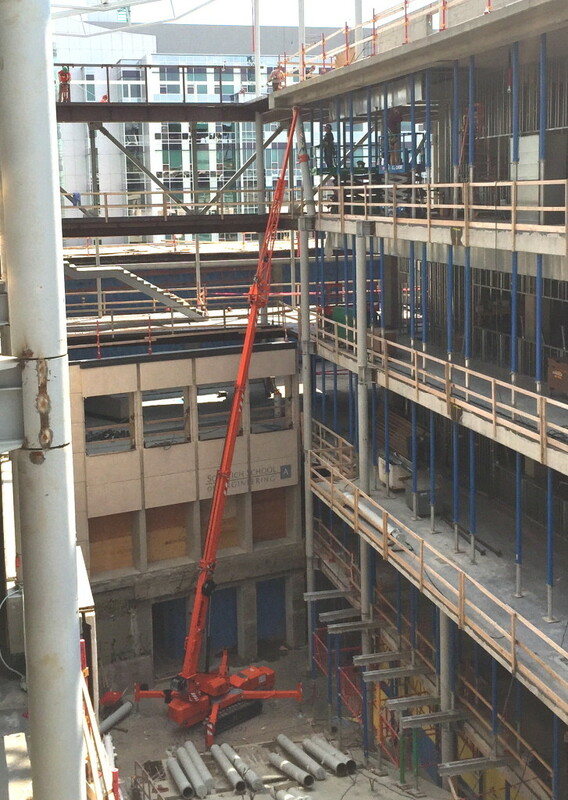 Jekko’s SPX1040 mini-crane model was small enough to walk through the double door access to get to the lower level of the atrium, and yet large enough to reach the top floor (at 63 feet). 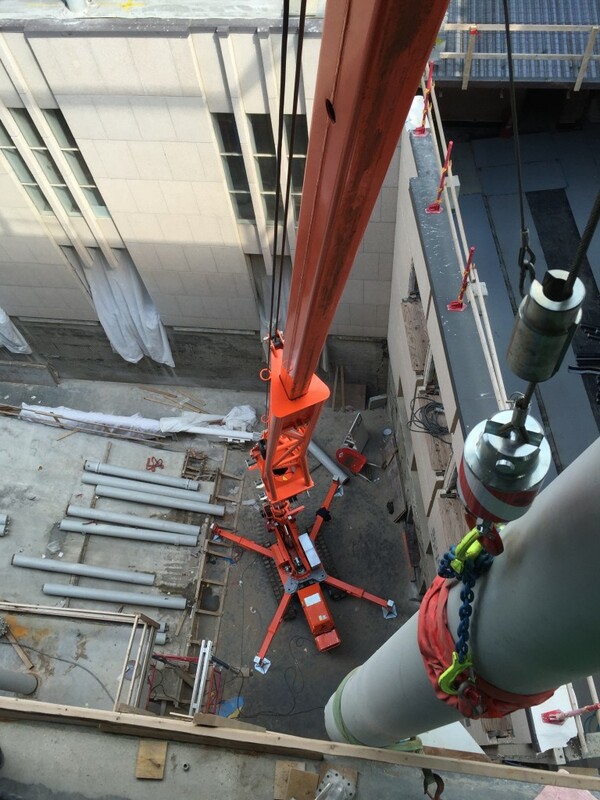 With the JIB1000.1FL swing away jib attachment, it was exactly what was needed to get the job done. 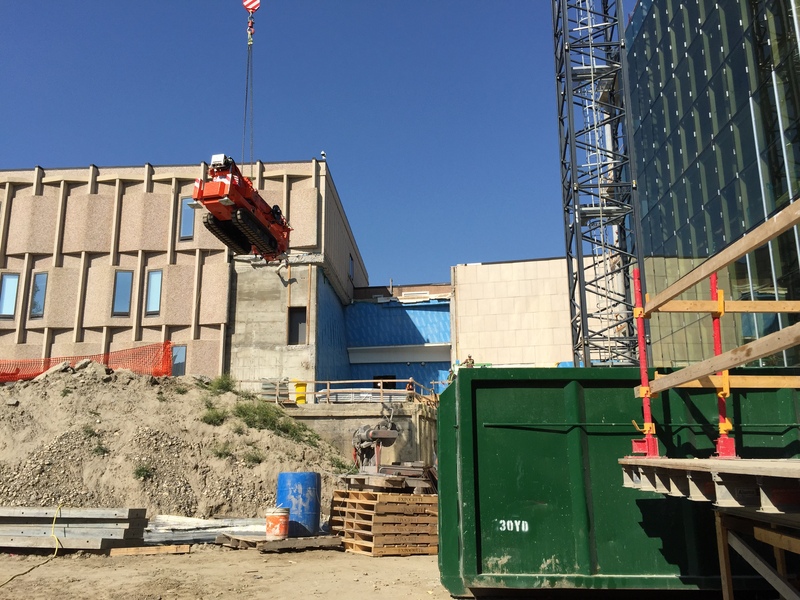 The mini-crane had to be moved to the next level up to complete the second half of the project, so it was moved outside and then lifted to the next floor with the tower crane (see image above), before being driven back into the atrium to complete the project. 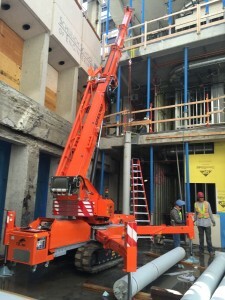 The Jekko SPX1040 is available for rent from Burnt Timber! 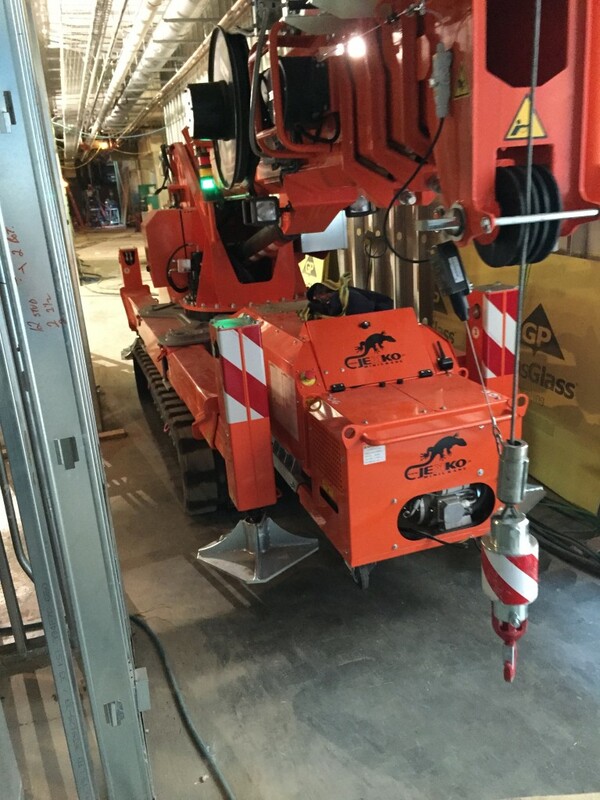 The SPX1040 is small enough to fit almost anywhere. It easily moves and sets up in tight spaces. 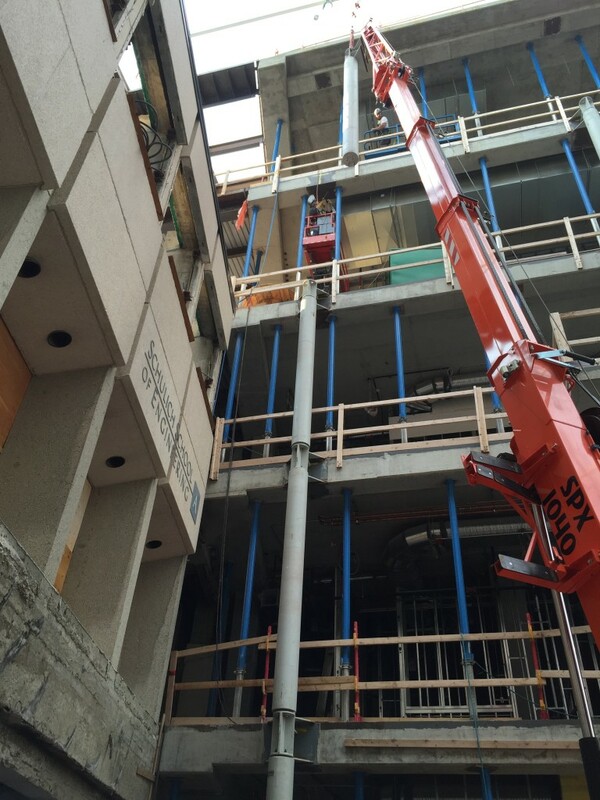 In position – and ready to start lifting columns. A lot of height for such a small machine. 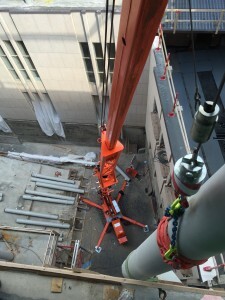 From the perspective of higher floors. 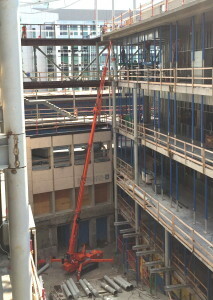 A full view of the mini-crane’s reach!